Have you checked out ProQuest’s eLibrary yet? eLibrary delivers one of the largest general reference collections of periodical and digital media content designed to support a range of users, including dual credit students, college students, and professional educators. 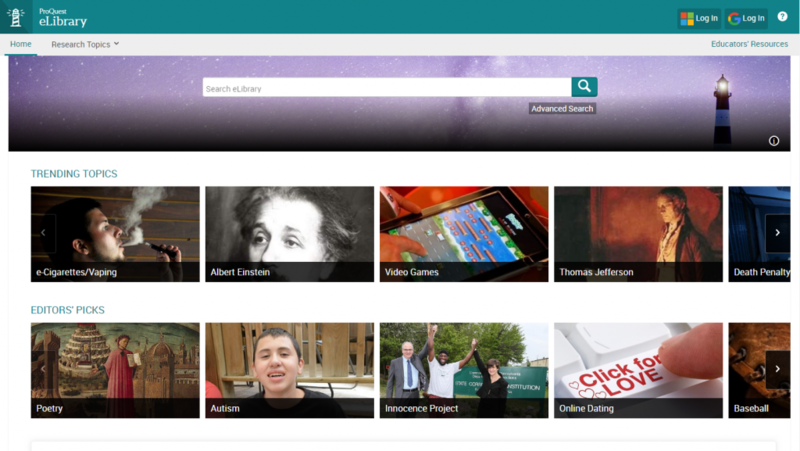 eLibrary’s updated interface and features make research easy. Students and Faculty will find the answers they need from more than 2,090 full-text magazines, newspapers, books, and transcript titles, plus a collection of over 7 million maps, pictures, weblinks, and audio/video files. eLibrary helps simplify the research process and empowers novice researchers to more easily and efficiently choose their research topic and find authoritative information to support their research claim. It delivers one of the largest collections of periodical and digital media content editorially selected to support novice researchers. 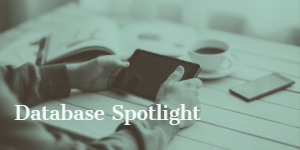 Presented on the award-winning ProQuest platform, eLibrary offers two methods of access: a custom Guided Research application, and as part of the unified platform, assuring fit-for-purpose use. The responsively-designed user interface offers access on any device at any time. and, users can cross-search eLibrary with other ProQuest databases! How can you use eLibrary? You can access eLibrary from this blog post or from our Databases page. Contributed by Library Specialist William Heinrich.